Everyone should have a few pestos and sauces loitering around in their fridge. They are so versatile and adaptable. We try to keep romesco, tapenade, and hummus on hand to spread on sandwiches, to snack on with a cracker when we’ve got the afternoon munchies, or to dollop on soup and stews like the fabulous Tuscan ribollita. 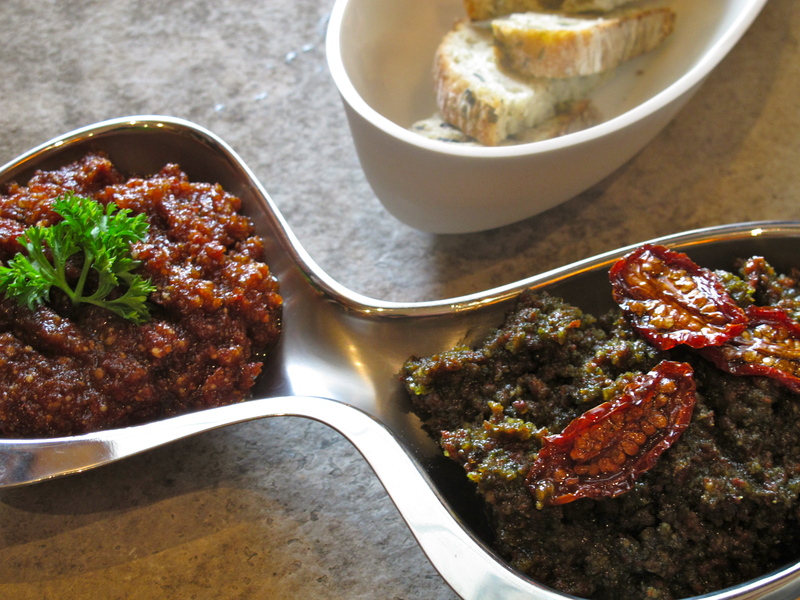 This sun-dried pesto version is another option with either basil (on the right) or straight-up (on the left). With all the health benefits of basil – it being antioxidant, antiviral, antimicrobial, and “king of the herbs” as some like to call it – why wouldn’t you throw in a handful? But, the minimalist version is beautiful as well. Throw all ingredients in a food processor. Blend until the pesto reaches your preferred consistency. Adjust salt and serve. I owe the inspiration for this delectable finger food to my dear friends Cathy & Christopher who had us for dinner and served these little bites of heaven beforehand. They make a tasty appetizer flirting with ginger hummus or olive tapenade. Or eat them as a quick and healthy snack mid-day on their own or gracing the top of a cracker. 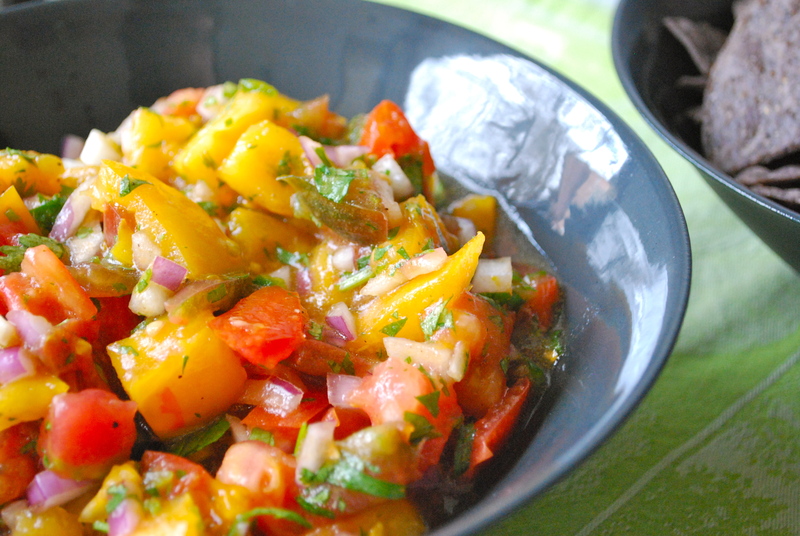 They are also a quick side dish at dinner if you’re looking for a pop of colour and some Mediterranean goodness. Preheat the oven to 350 degrees. Prepare the tomatoes by cutting off just the very top of each. Place in an oven-proof dish or on a cookie sheet so that they stand tall. 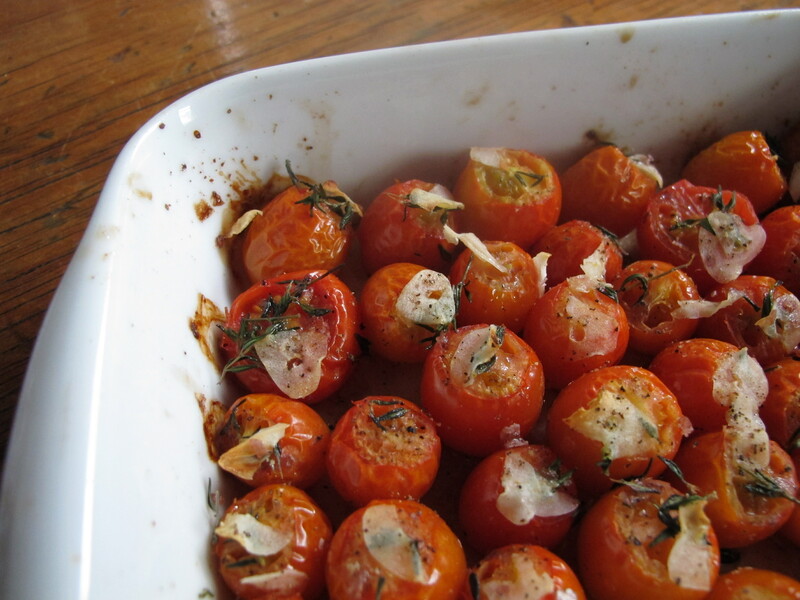 Drizzle with olive oil, and then sprinkle with thyme leaves. Next place one or two thinly shaved pieces of garlic on top of each tomato. (A mandolin works well or, if you don’t have one, a sharp knife and steady hand.) Sprinkle with sea salt and pepper to taste. Bake in the oven for 30 minutes or until soft and succulent. I think everyone understands the 3:00 PM energy crash. 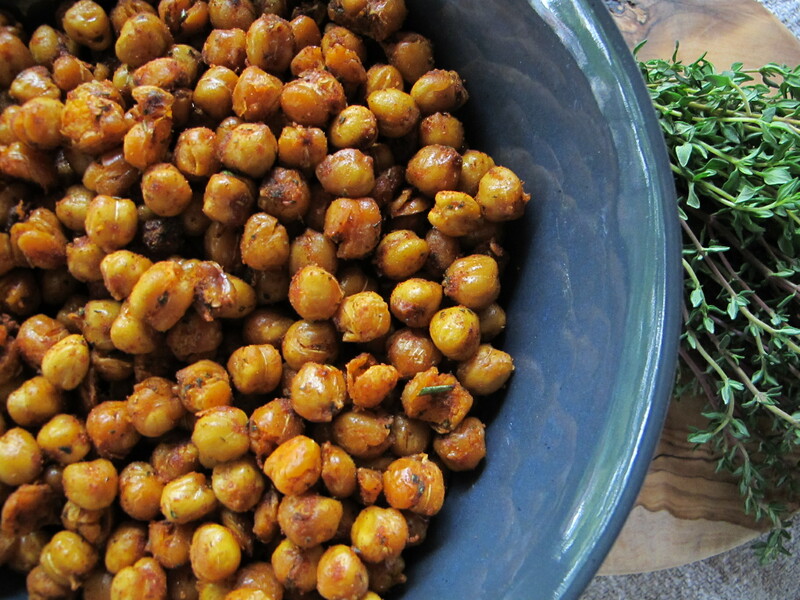 If you eat well it’s not as severe but, regardless, I think we all need a little pick-me-up mid-afternoon whether it’s a fabulous tea, smokey honey roasted almonds, or these amazing roasted chickpeas with paprika, rosemary, and thyme. The recipe hails from Heidi Swanson’s super natural every day complete with a few tips like making sure your chickpeas are as dry as possible before roasting, using three paprikas for depth of flavour, and adding these tasty morsels to stir-fries, soup, and salads. I’m not sure mine will last until dinner as I’ve eaten half the bowl just sitting here writing this blog post. Preheat oven to 425 with a rack placed in the top third of the oven. Put the dried chickpeas onto a baking sheet as pictured below and roast for 10 minutes. Shake the pan and roast for another 8-10 minutes, until the chickpeas crisp up. Keep an eye on them to avoid burning. While chickpeas are cooking, make your sauce. Combine olive oil, paprikas, salt, lemon zest, rosemary and thyme into a mixing bowl. Transfer the chickpeas into the bowl and toss until well coated. Return to baking sheet and roast for another 3-5 minutes. Note: do not cook any longer than this, or they may taste too dry. Let cool 1-2 minutes & serve warm. How do you spell summer? How do you spell BBQ? How do you spell super delicious vegan treat? 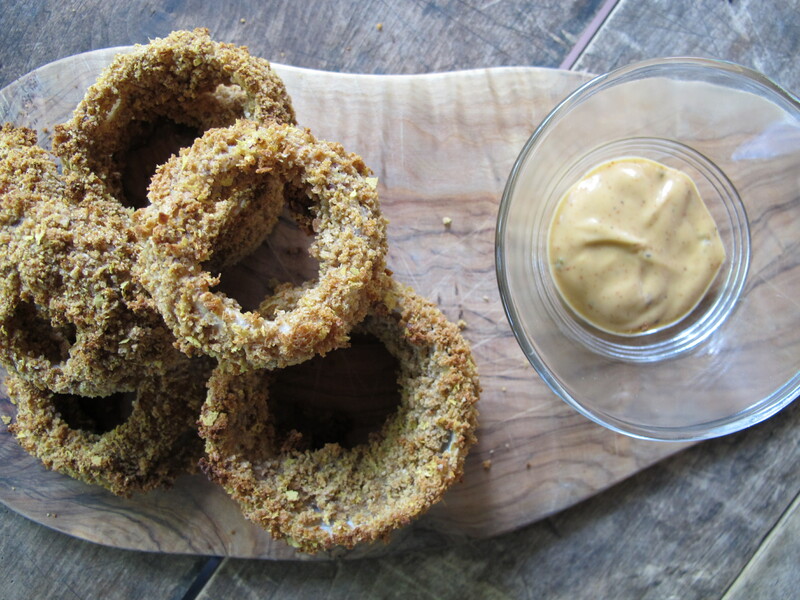 It’s right here folks – beer battered onion rings brought to you by Veggie Wedgie. And Joshua thinks I’ve joined a cult! You should have seen his face when he tasted these decadent morsels. That’ll learn him! Granted, they are a bit finicky to make – not hard, just finicky – but totally worth the effort. Next to a veggie burger and green salad … well, and a beer … on summer’s last long weekend and you can’t go wrong. First grind your flaxseeds as fine as possible (I use a coffee grinder), unless you use flaxmeal. Now place them in a small mixing bowl with the water and leave for 10 minutes or until the water become slimy/sticky (that’s our egg white sub). 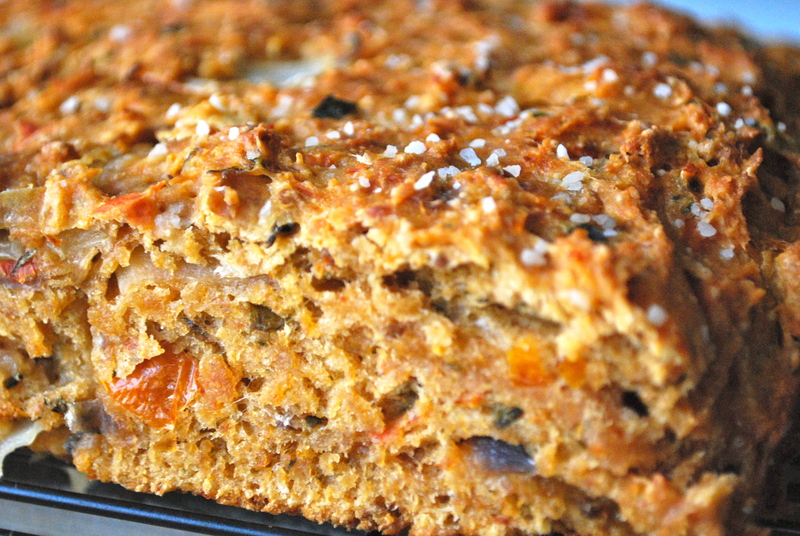 When flax egg is ready combine with beer and gradually add flour while stirring. In a separate mixing bowl combine breadcrumbs, nutritional yeast, salt, and paprika. And in another big mixing bowl place white flour or chickpea flour. 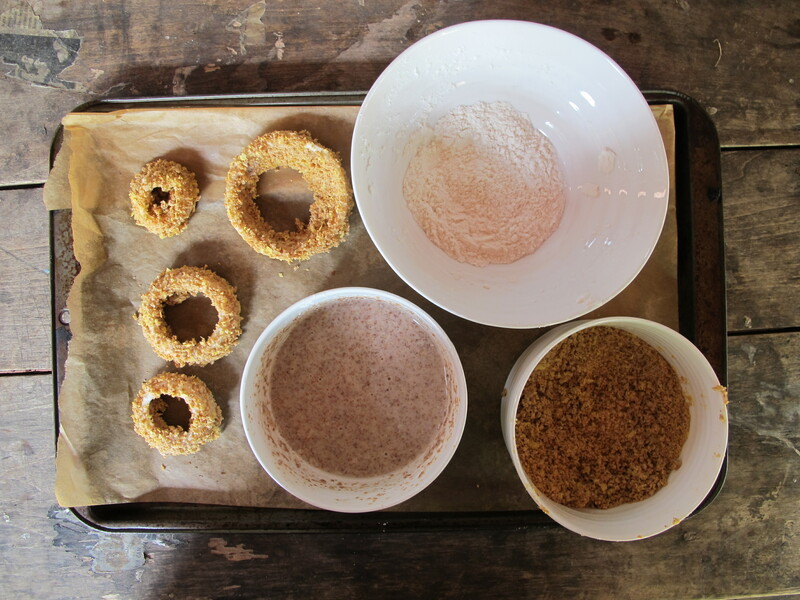 Place onion rings in the bowl with the plain flour and toss to cover them.Now one by one dip onion rings in the beer batter, lift out with a fork, and toss them in the breadcrumb mix to cover completely. Place on a cookie sheet lined with parchment paper. Preheat oven at 400 degrees and bake for 30 min or until golden brown and crispy. If you have leftover batter store in the fridge to reuse within a week. Also don’t throw away the parts of the onion you didn’t use! Just store them for later use in something else. Possibly the easiest recipe in the world. Also one of the tastiest. Simple, pure, healthy, and medicinal. It’s got it all. Clean up a whole bulb of garlic removing just one outside layer of the garlic skin and trimming off any roots that still may be floating around. 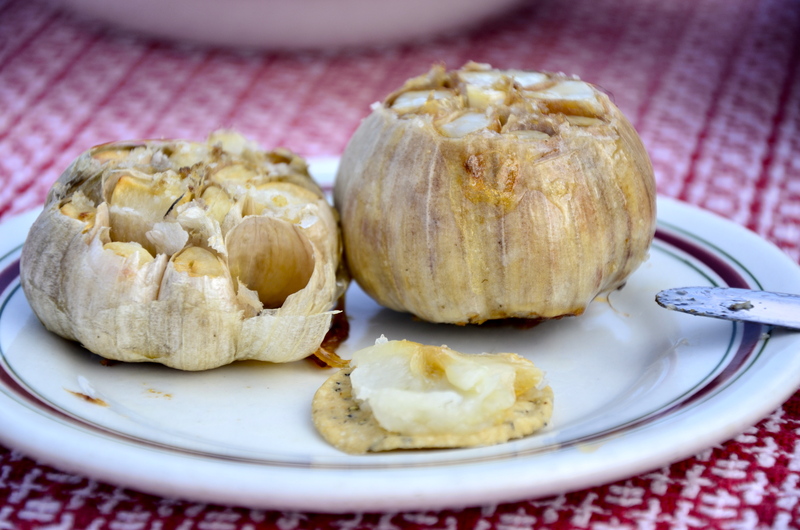 Chop off the top of the head of garlic to expose the cloves. Place in an ovenproof pan, drizzle with olive oil, sprinkle with salt and pepper. Bake in a preheated 400 degree oven for 30 – 40 minutes or until golden brown. Meanwhile toast some toast. Or forget the toast and just use crackers. 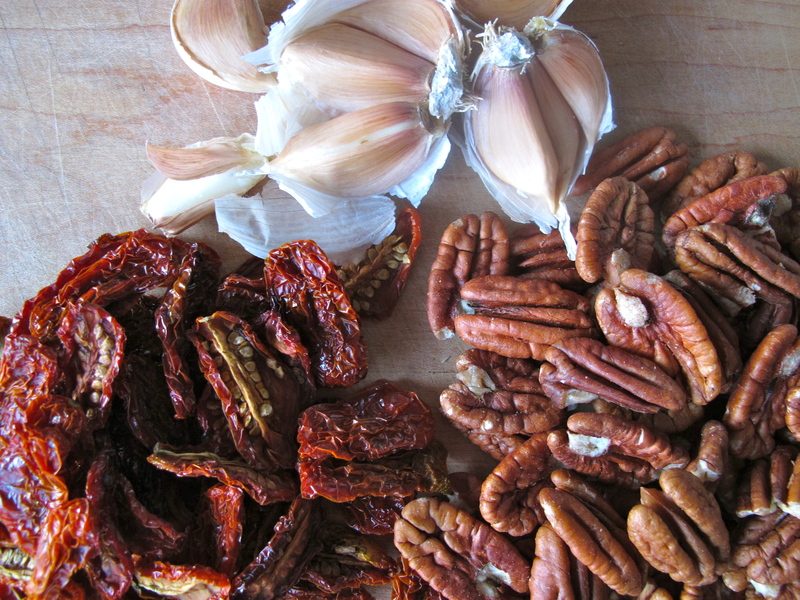 When the garlic is done, scoop out the soft, smooth, gooey cloves of garlic and spread on your toast. Eat. Repeat. And never look back.